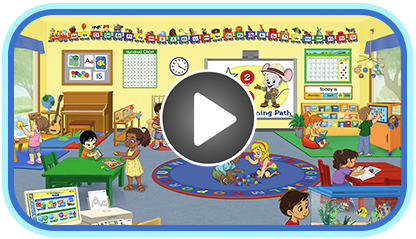 ABCmouse.com’s Library includes several hundred preschool children’s books, each one creatively authored and designed to be interesting, visually appealing, and appropriate for young children. Our online preschool children’s books collection includes many nonfiction works, including books about the alphabet, the numbers 1–5, the weather, and the primary colors, that present important concepts in one of the site’s four main curriculum areas. And there are also many wonderful read-aloud stories, both original and traditional, that help preschool children develop an all-important love of reading while also learning important concepts of print, such as left-to-right text direction.